Well what a week I have had! I had the most awful cold and cough which just ended last night. 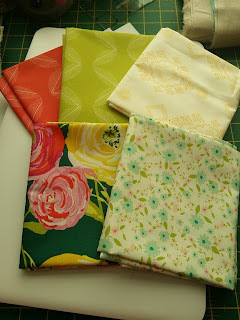 I coughed and spluttered my way through teaching my patchwork and quilting class on Wednesday. I spent most of yesterday in bed and lounging on the couch drinking Lemsips (bleugh). Thankfully today is the best I have felt all week! 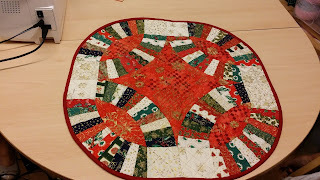 The students in my classes are currently working on Kaleidoscope quilts, learning about the importance of planning and colour placement. 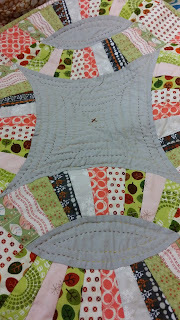 They just finished double wedding ring mini quilts in our curved piecing course. Here are a few of the finished pieces. Sandra used Christmas sample swatches from the shop owner to make her beautiful, glittery, blingy mini table topper. She even used metallic thread! There were a few curse words I am sure when the metallic thread was playing up and breaking. However, we both learnt that you can get a specific machine needle for sewing with metallic thread. You learn something new every day! On Monday we had a really sad event. We lost our cat of almost 9 years, Tigger, to a blood clot. He was a big, healthy and strong cat but it was just his time. 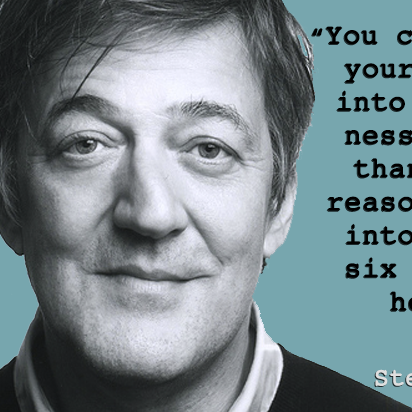 He was a character and will be sorely missed. 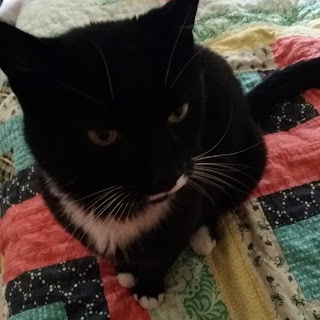 Poppy (our 13 year old cat) is still going strong so far and Spot, (our jack Russell terror) keep us company and we have been giving them extra cuddles. I have also been learning more and more about illustrator. Skillshare is an excellent resource for learning in bite size chunks and my attention span isn't the best. 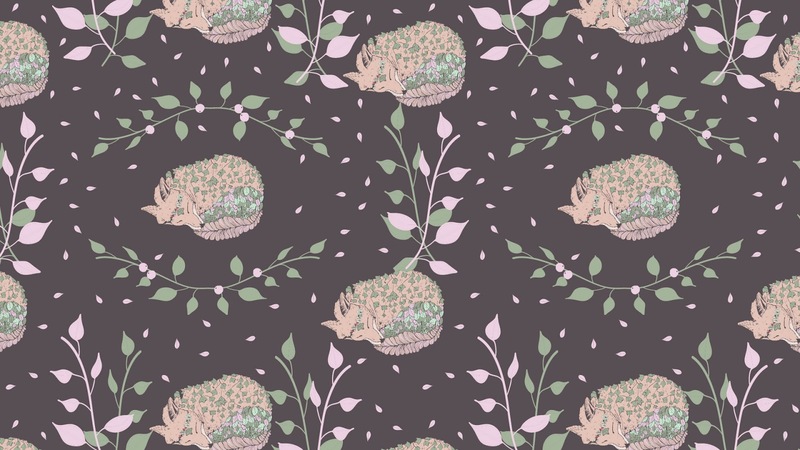 I really enjoyed making this little design based on my fox illustration. 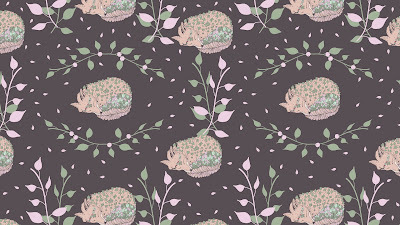 I scanned the artwork and then digitised it to create a repeat pattern and a free wallpaper for a desktop or laptop, (in my payhip store). I really am enjoying the process and sharing my work. I enjoy getting feedback on my work as it helps me grow creatively. 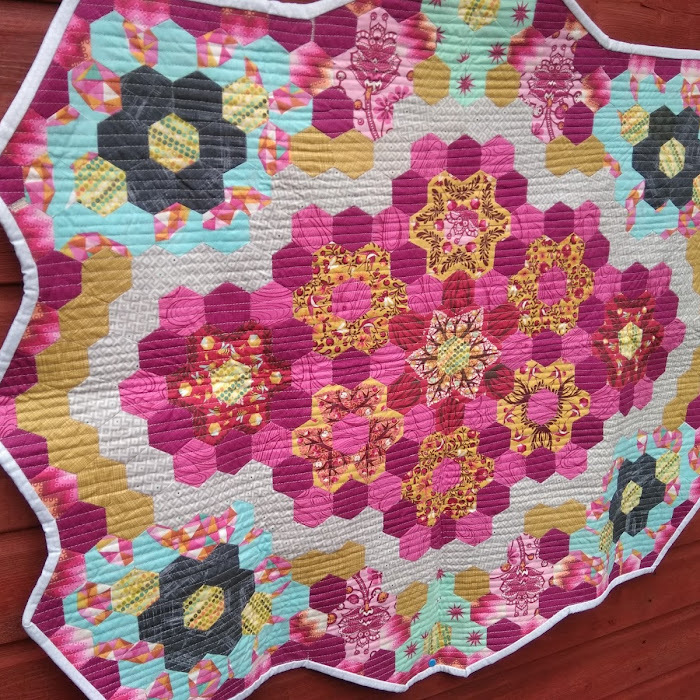 I am wondering what this one may be like on fabric! There is so much to consider between colours and lines, balance and flow of it all. Oh and I received a lovely fabric order for a magazine commission! Isn't it lovely? Can't wait to get the time to sew it! Everyone seems to have had a dreadful cough/cold this week !! me included!